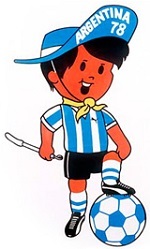 The 1978 World Cup Finals, the eleventh FIFA World Cup, were held in Argentina from 1 to 25 June. Argentina were chosen as hosts at the 35th FIFA Congress in London on 6 July 1966 (along with those for the 1974 and 1982 Finals). Mexico, the only other country to express interest, had won the 1970 hosting bid over Argentina just two years prior, and agreed to withdraw to let Argentina become the host unopposed. The sixteen participating teams were divided into four groups. 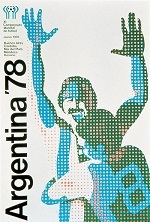 All four teams would play each other once, at a draw conducted at Teatro San Martin in Buenos Aires on 14 January 1978. The top two teams were then divided into two groups, in which all four teams would play each once. The winners would then play each other in the final, and the runners-up in the third-place match. Penalty shoot-outs were also introduced for matches that ended all-square after 120 minutes. 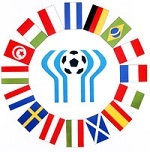 Finland, Italy and Luxembourg were England's opponents in Group Two and it was always going to come down to a two-horse race between the former champions, England and Italy, neither of whom dropped a point against the other two nations. Italy drew first blood against England with a 2-0 win in Rome, leaving a better goal difference as England's only realistic hope to qualify, assuming that they could win the return against the Italians, at Wembley. Don Revie was obviously, not hopeful, because he quit at the end of the 1976-77 season. Ron Greenwood took over as caretaker-manager, to see them through the qualifying campaign. England did not concede a goal in their three remaining games, but Italy's 6-1 win against Finland in Turin, three days after England could only score twice in Luxembourg, left them four goals better off than England. England played magnificently in beating Italy, 2-0 at Wembley, on 16 November 1977, to finish their fixtures, two points clear, and they now had an identical goal difference to Italy, but frustratingly, it wasn't enough. On 3 December, Italy faced Luxembourg in Rome, and needed only a single-goal victory to eliminate England. They scored three without reply, and booked their place in Argentina.